On a recent trip down to the waterfront in Camden, NJ I had taken my daughter Hanna to the aquarium which I had written about in a previous post. 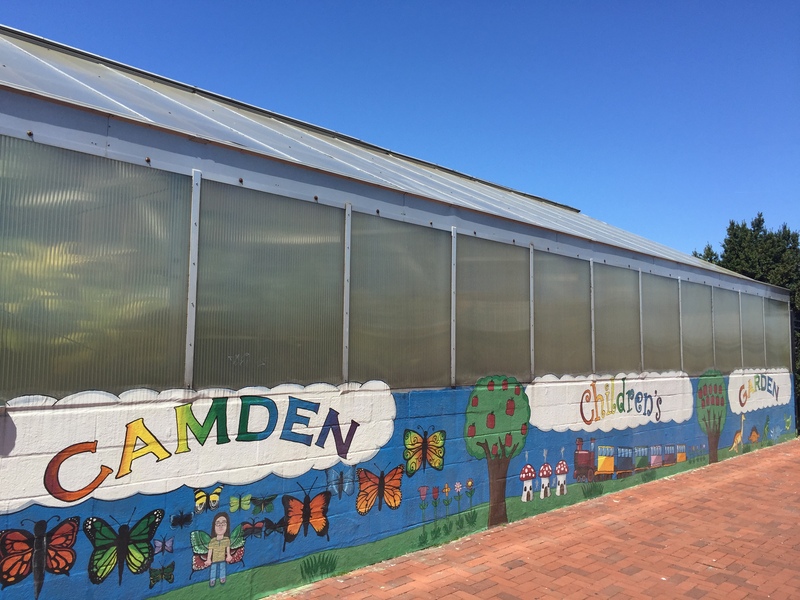 After we finished exploring the aquarium we headed right next door to the Camden Children’s Garden. This is a cute little place that Hanna just absolutely loves. As the name implies there are various garden areas that the kids can walk among and have many different activities throughout the park. 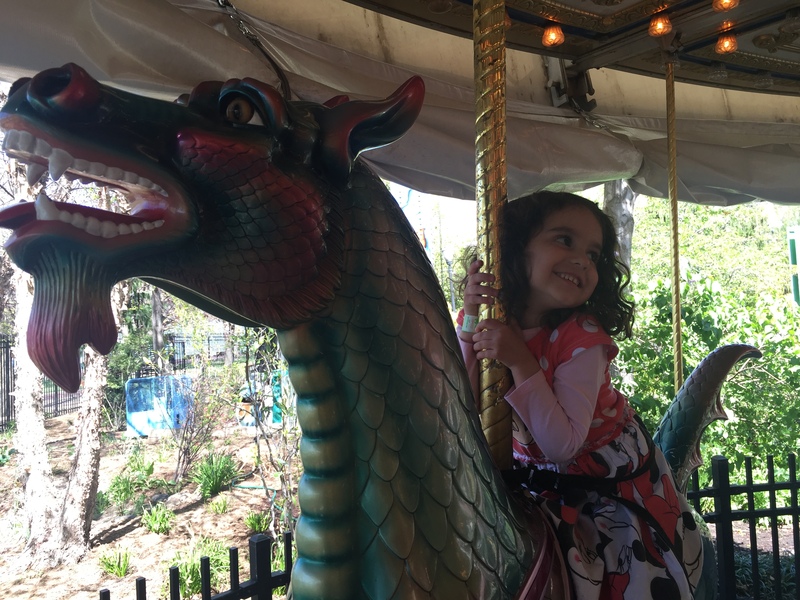 There is a large-scale train ride that takes you around a the park, or you can jump aboard the restored carousel which is a must each time we go. They also have a small but still very cool Butterfly house where you can walk among live butterflies that soar all around you. 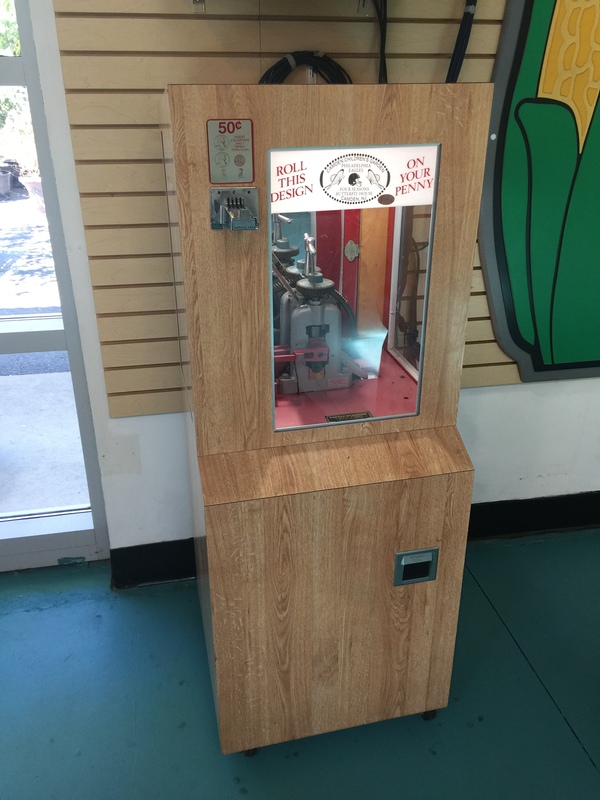 In past trips the Butterfly house was home to a pressed penny machine but on this trip I noticed it was missing. A little upset at the loss of another machine I put it out of my mind. 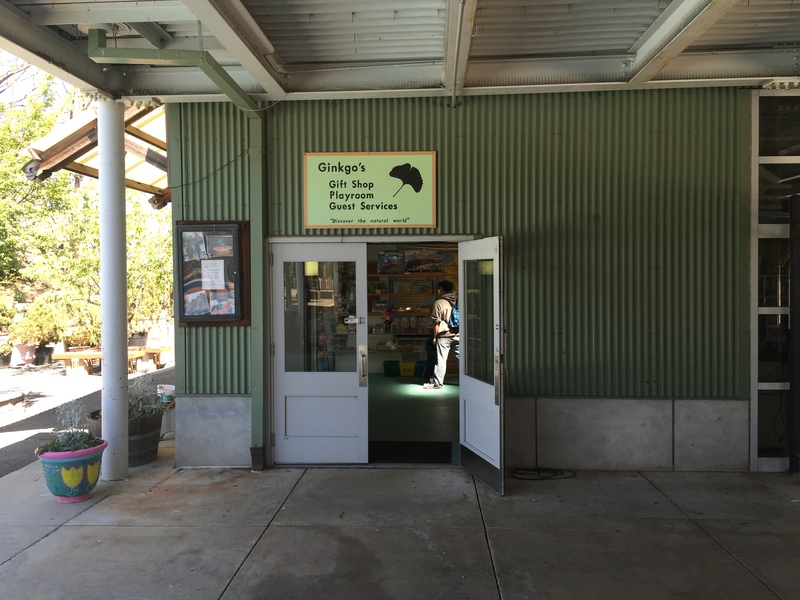 But then as we were leaving the garden’s we decided to check out the Ginkgo’s Gift Shop and Playroom. This is a tiny little shop but has quite a selection of souvenirs to take home. In the back there is a wooden model train that Hanna was obsessed with (guess I know what to get her for Christmas this year). As she entertained herself with the train I walked around and came across the missing penny machine. It’s a one design electric machine. When I went to use the machine it didn’t work at all, but the staff member that was in the store quickly ran over to assist me. He tried resetting the machine, and did some magic in the back to get the penny to eventually roll. I thanks him for his assistance which was nice to see instead of what usually happens in these situations when you are just told the machine is broken and there is nothing they can do. He really took the time to help and make sure I was satisfied with the finished penny. The design has two butterflies surrounding a football helmet. 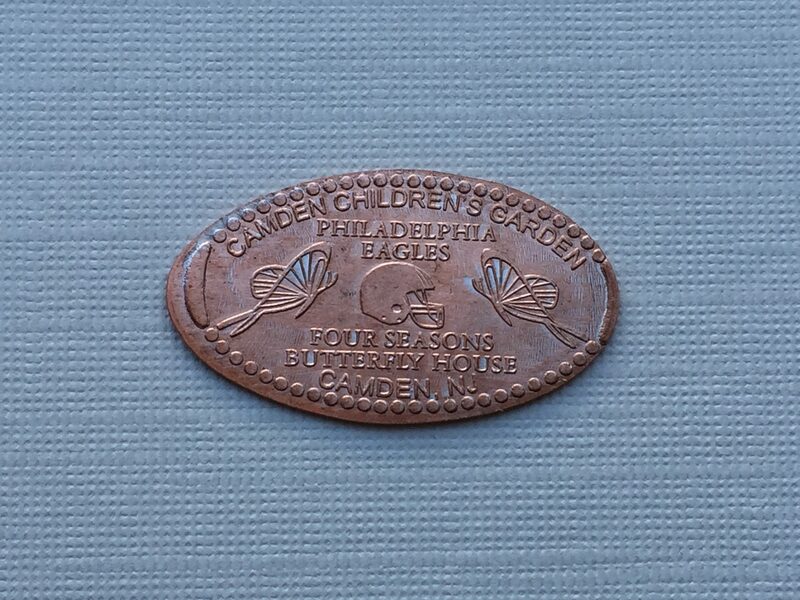 The Four Seasons Butterfly House is partially funded by the NFL’s Philadelphia Eagles football team which was all listed on the penny. Wondering through the Garden’s and walking among the butterflies was a nice ending to our adventure down in Camden. My pocket was full of some new pennies and Hanna was asleep in the car shortly after we left but had a huge smile on her face the entire ride home. What could be better than that!